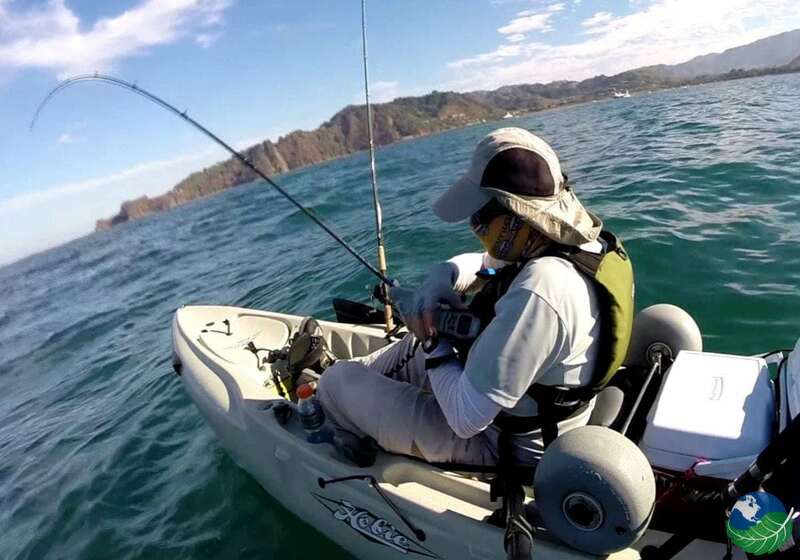 Los Sueños Resort & Marina is located on the Herradura Coast. This stunning resort comes with private home, villas and condominiums. The fully equipped luxury accommodations come with a daily maid service as well as a 24hrs concierge. 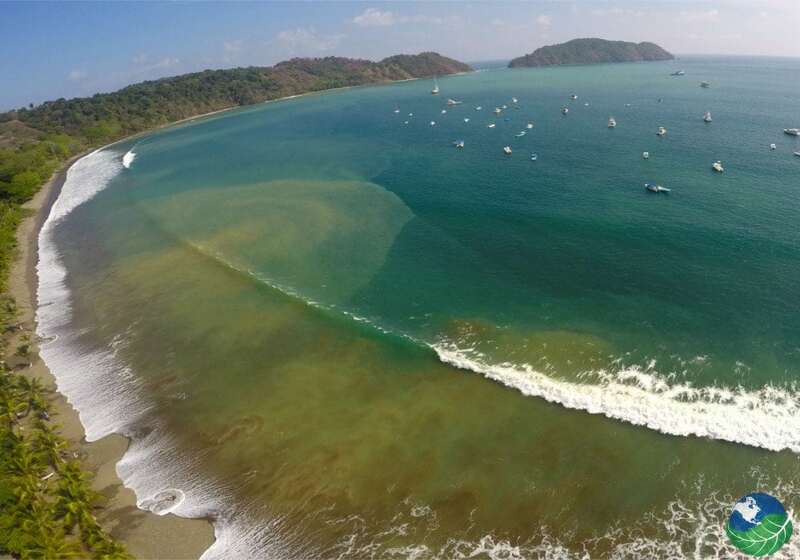 Additionally, all the properties on the lot have access to the Los Sueños Beach club. Have a look at the selection! Harmon Estate is the perfect choice for families and corporate clients. This 5,000 square feet estate has carved wood, marble and granite finishings. The whole top floor includes the master bedroom suite with a walk-in closet, an office, a jacuzzi and bidet. There are two further suite bedrooms with a private bathroom and TV. The suites are finished with a small quarter with a large bed, a private bathroom and a TV. Added to this are two 800 square feet guest houses with a kitchen and a living room. Casa de Sueños is a 8,059 square feet private retreat. This stunning architectural marvel is specifically designed for larger groups, friend and family and even a corporate trip. You will find that this property is truly a house of dreams with all the amenities you could possibly need during your trip within walking distance. The avid golfer will be thrilled with a splendid view of the13th green of the 18-hole championship golf course. for those who love to sit back and spot butterflies and birds, you will be happy to know that the fruit trees planted on this property attracts various species fo wildlife! Calling big families and corporate parties! This centrally located split home is close to everything you may need and complete with stunning colonial architecture, Casa Patron has no less than 5,900 square feet in the house alone. On top of that you have a free-form swimming pool as well as a large game room complete with pool-table. You can also enjoy the barbecue area and lush landscaping. Until December of 2019 there will be construction of the lot next door. For the possible inconveniences casued, we there is a 30% discount for the duration of the construction. Looking for the perfect home for that stunning Costa Rica Sunset? This mountain top beauty is the answer to your prayers. The sleek design is accompanied by panoramic views of the bays as well as the rainforest. The sunset can be enjoyed from the large terraces or even the infinity pool with jacuzzi effortlessly blending into the horizon. Casa Oasis is perfect for those big families and large traveling groups that long for a lush, secluded property with private amenities. 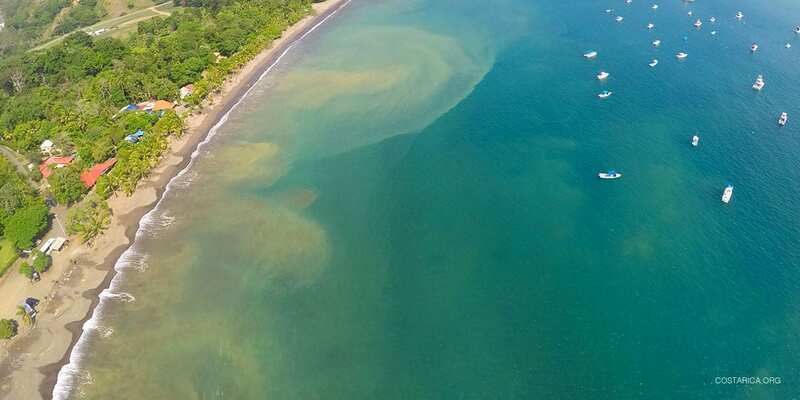 It is situated just above Los Sueños popular Eco Golf Course and is only minutes removed from the Los Sueños Marina. Encompassing 6000 square feet, this property offers central airco within 4 different airco zones. Entertain your guests at the sun deck for stunning views or by the pool complete with jacuzzi. The fruits trees planted in the yard attract all kinds of welcome visitors. This 5,000 square feet retreat is an entertainment capital for family and friends as well as corporate clients, complete with staff. Enjoy the luxury of privacy and rainforest views while still being close to all the amenities. Looking for that unique place that oozes luxury? Look no further! 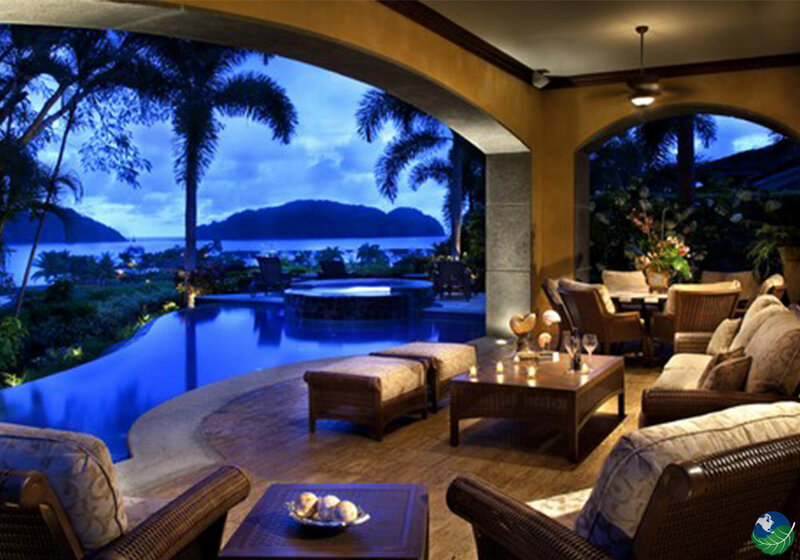 These stunning 6.000 square feet single-family villas combine flawless luxury and comfort with the tropics. This pearl of a villa is built in the colonial style and boasts a private pool with jacuzzi. Since you are in the tropics, why not go for a an open build? fall in love with outdoor living and entertaining with a grill and room for 10 guests. Who will you invite and spoil with all this luxury? The Eco Golf area boasts this little gem. Rather than Colonial, this design is Mexican and is perfect for families and smaller groups. All the bedrooms have private bathrooms and personal entry to the garden and the pool. This perfect for the family who wants to be together, but also allow each other some peace. Want to combine charm and luxury within a few paces of bars, restaurants and the marina? Then you will love Colina! The stylish, colonial architecture surrounds 2,000 square feet of living space! The huge, covered terraces all offer rainforest views. The Community also includes two swimming pools, a large Jacuzzi, barbecue areas, and a gym. 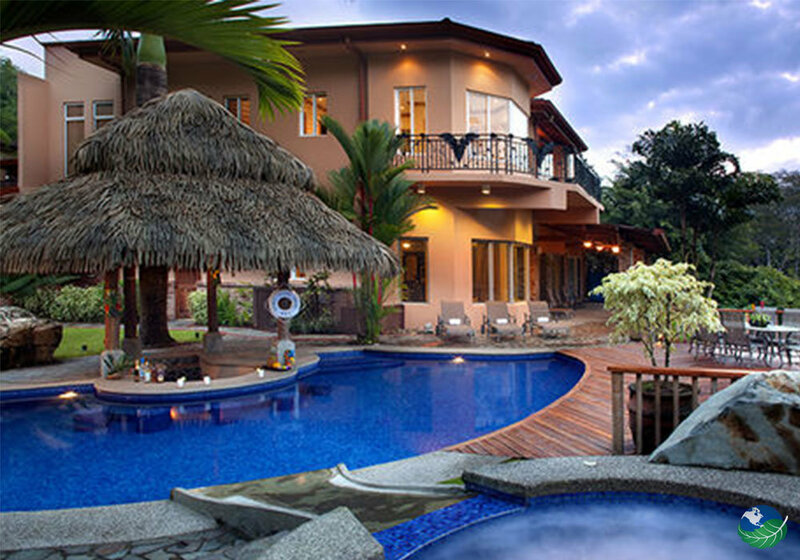 The resort entrance is home to some of the most luxurious condominiums in the whole of Costa Rica. You can choose between two different views: ocean or fairway. The design is Mediterranean and offers large terraces and balconies with memorable views. These west-facing residencies are part of the above mentioned Del Mar Community and offer splendid views of the Marina and the sparkling clear waters of the Pacific ocean. If you want to be close to the Los Suenos Golf Course as well as the bars, restaurants, and Marina, then we have a real treat for you with Veranda. The Tropical designs offer between 750 and 2,200 square feet of living space. Teh big terraces will offer you fairway and rainforest views. The outdoor swimming pools and Jacuzzis, and barbecue areas as well as the gym will make the picture complete. Miramar features a contemporary Mediterranean design with stunning views of the surrounding natural beauty. The floating ceilings and mirrors used for effect, offer type of urban feel and simplicity to a hone that still provides boundless luxury and warmth. The double infinity pool will prvide a sense of relaxation as well as a spectacular vies of that far off horizon. 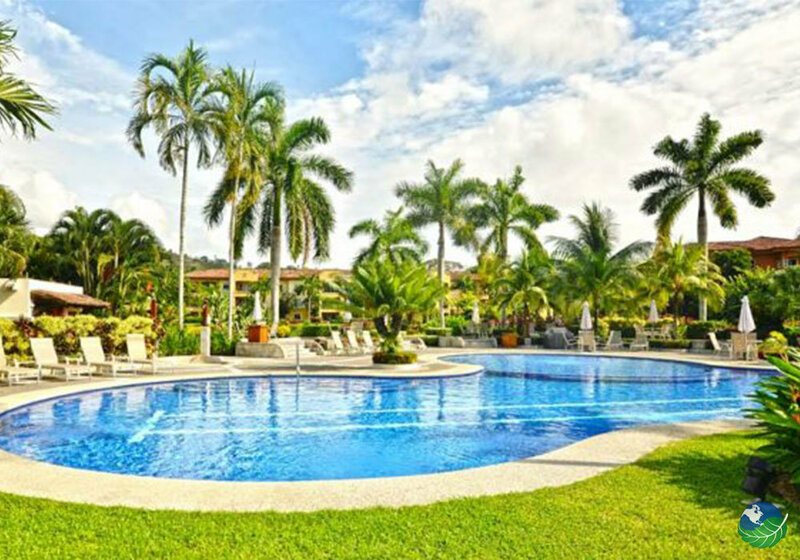 The Los Suenos 2 Acre Beach Club has this striking condominium located right next door. The Marina is only minutes away as well are the bars and restaurants. The Marbella and Terrazas have to ocean views ahead and the rainforest behind. The tropical and colonial design make for a charming and utterly relaxing home away from home. Feel like being on a tropical island within the safety and comfort of a condo? Look no further. This little gem will transport you to tropical luxury while awarding you with a serene and remote feeling. This beautiful little community is the youngest of the lot. 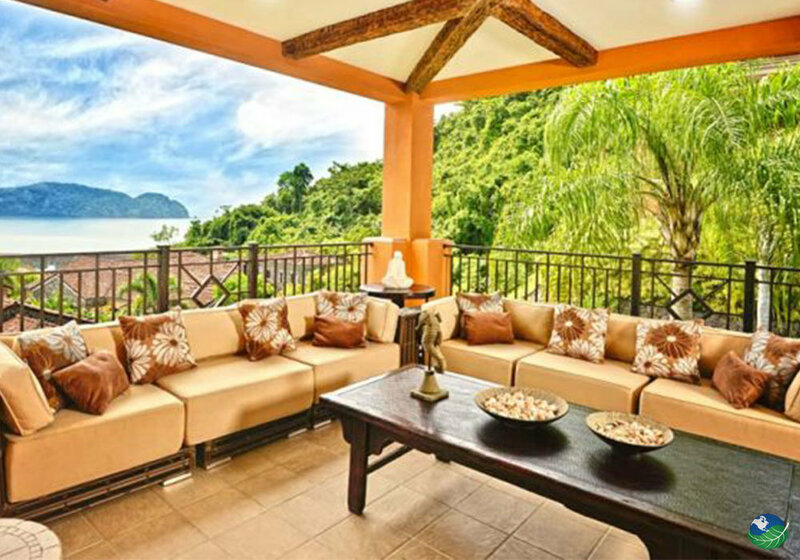 Situated in the Vista Los Sueños, this condo has stunning ocean views as well as vistas of the Herradura Island.